Gardening is meant to be enjoyable, but worn, dull tools can turn it into a real chore. 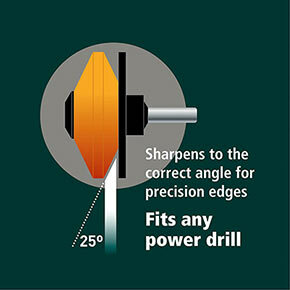 That's why we added a Rotating Tool Sharpener to our offering. It easily sharpens the big blades in your tool shed. 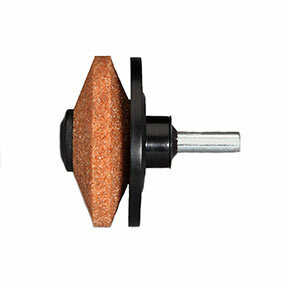 It will attach to any standard drill bit, sized ¼ to ½". 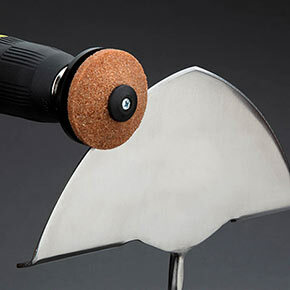 It is specifically designed for your bigger blades, like mower blades, spades and shovels. 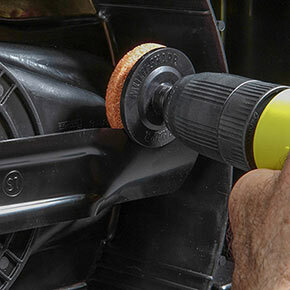 Especially with mower blades, filing this stuff by hand isn't only time-consuming, but can be dangerous. 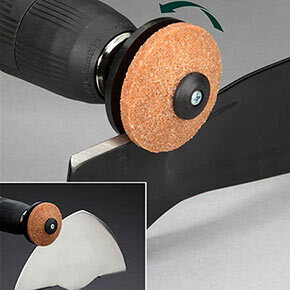 The Rotating Tool Sharpener will have them sharp quickly and safely, so you can get on with your gardening. H2"xW2"xD2"